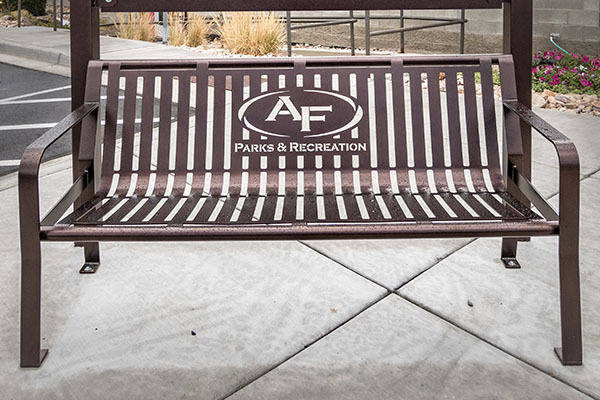 The Classic Bench is one of our most popular site furniture options for parks, downtowns, schools, and more. 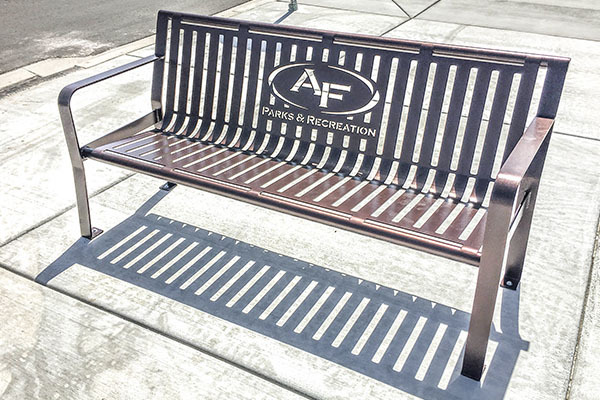 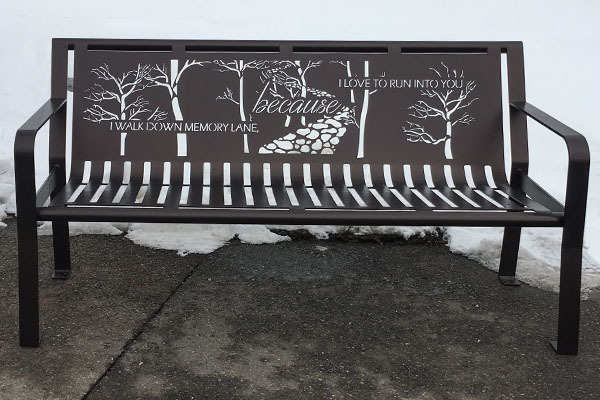 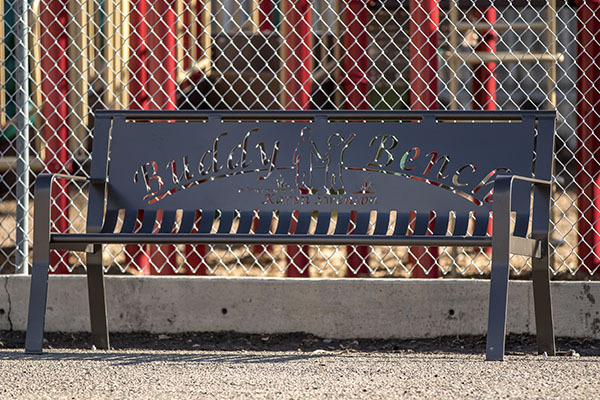 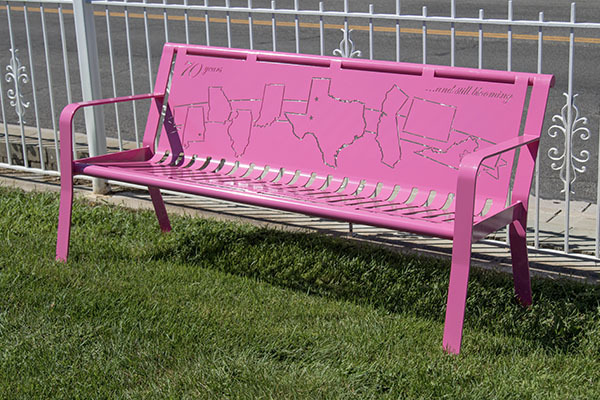 Each metal bench is available with custom laser cut options and powder coating finishes to accentuate any landscape. 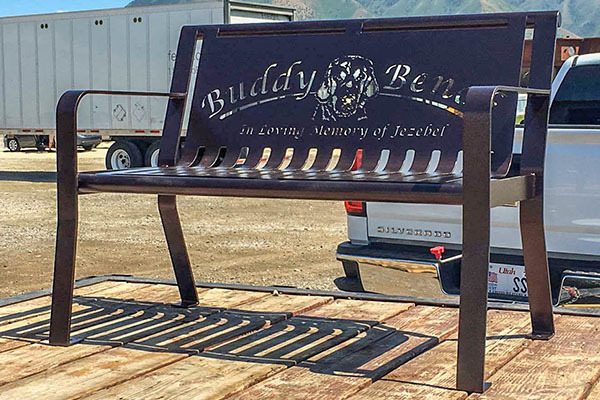 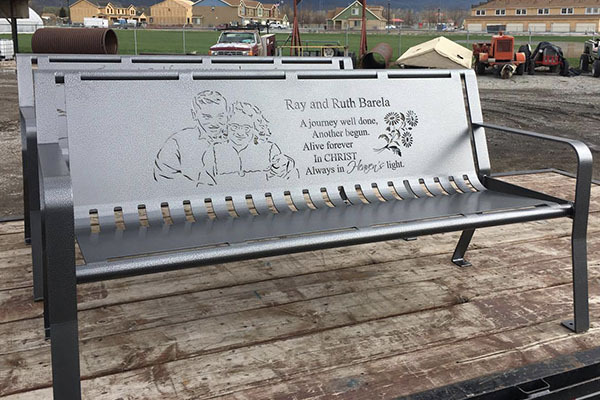 To order your metal bench, give us a call at (801) 414-1724 or click the link below. 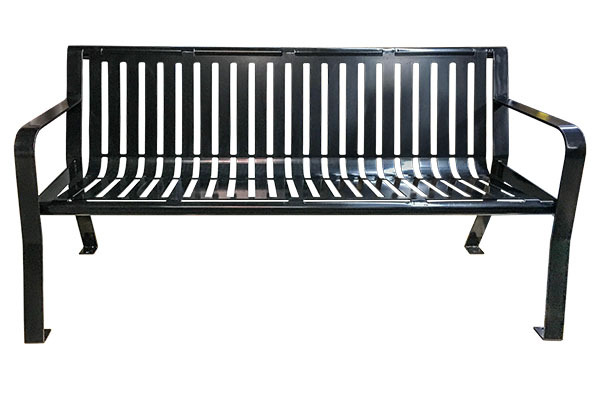 The Classic Bench is available in 4′, 6, and 8′ sizes. 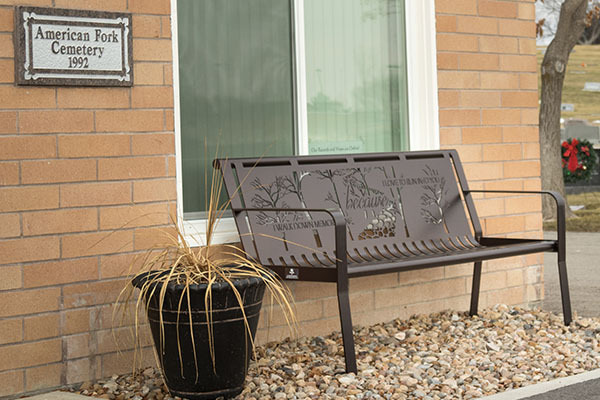 Cut from a single sheet of metal with minimal welds. 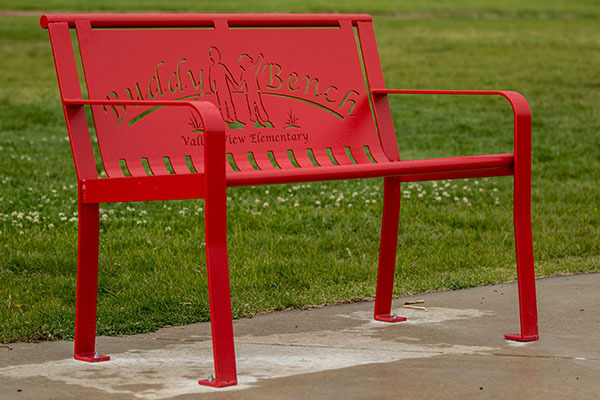 Powder coated to protect against rust and corrosion. 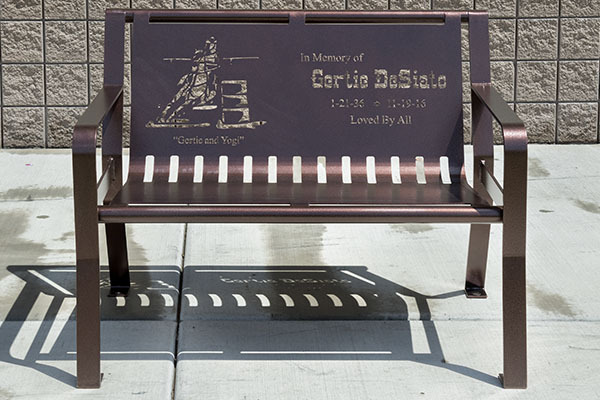 Add logos, inscriptions, portraits, and more! 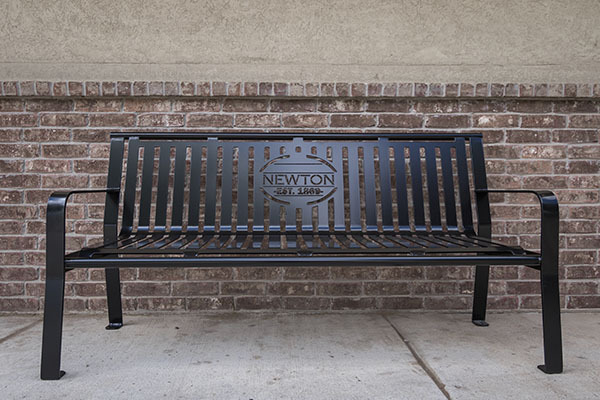 Logo integration is important for branding your business or city. 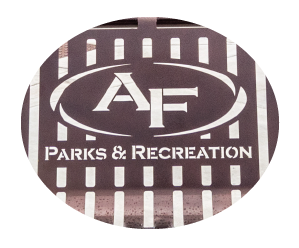 Our design team will take your logo and turn it into a laser cut ready file. 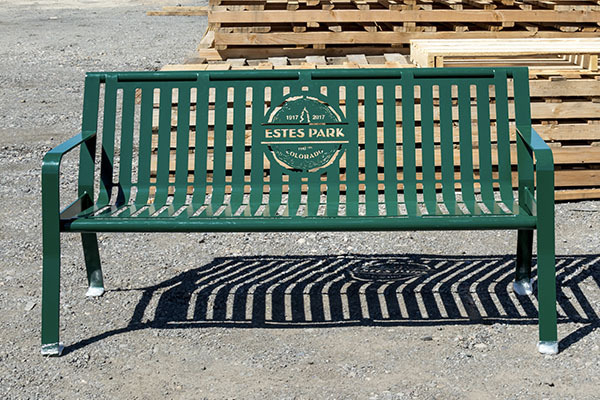 The logo will then be cut directly into the back of the bench. 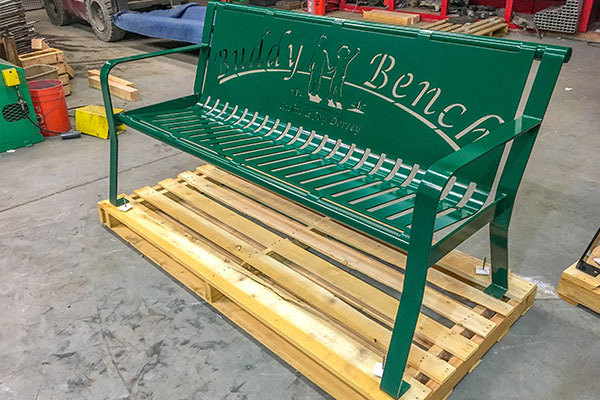 Each bench is sandblasted, primed, and powder coated. 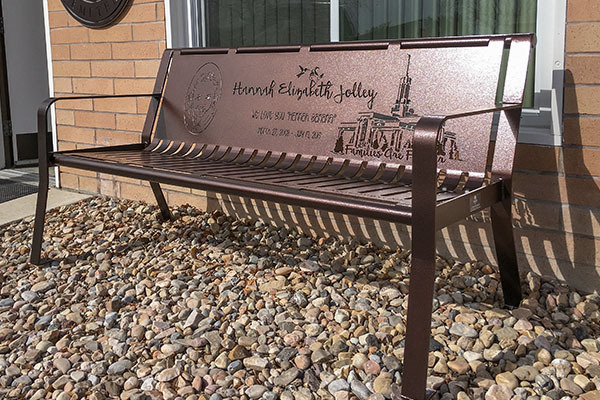 This process creates a finish that is twice as thick as average paint and protects the bare metal from moisture. 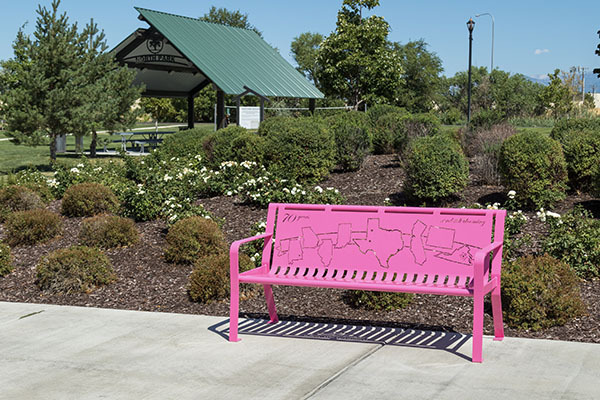 We offer a variety of powder coat colors that will accentuate any location. 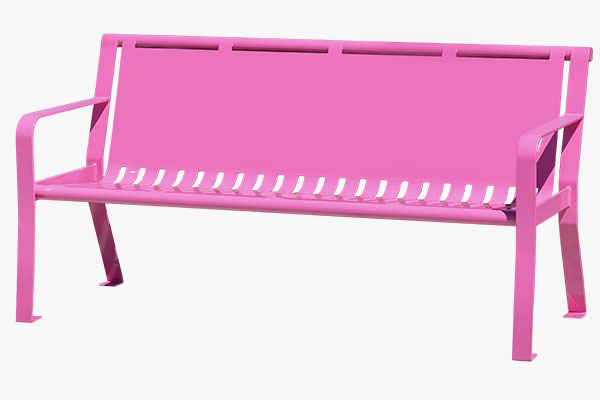 You can view our current colors here.